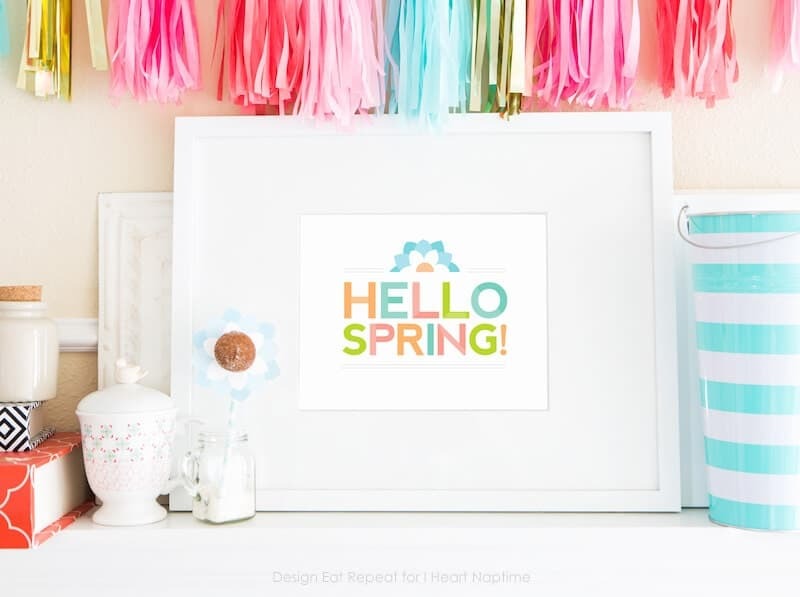 Free Printable Spring Wall Art by Melissa of Design Eat Repeat for I Heart Naptime. With winter finally gone-so in this neck of the woods, I’ve decided that there’s no better feeling than taking that heavy winter coat off the coat hook and packing it away to the very back of the closet. I’ve been embracing the open windows with open short-sleeved arms and there is truly no better mood booster than fresh Spring air. And now that Easter has passed and the next decoratable (< not a word, but should be) holiday is a few months away, my walls could use a little bit of this upbeat & fresh vibe for themselves. 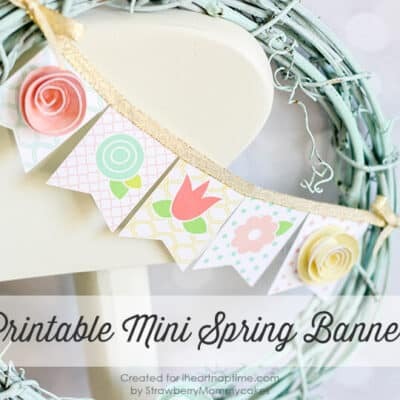 So today I’m sharing a Free Printable Spring Wall Art design that you can print out to freshen up your holiday-less walls! 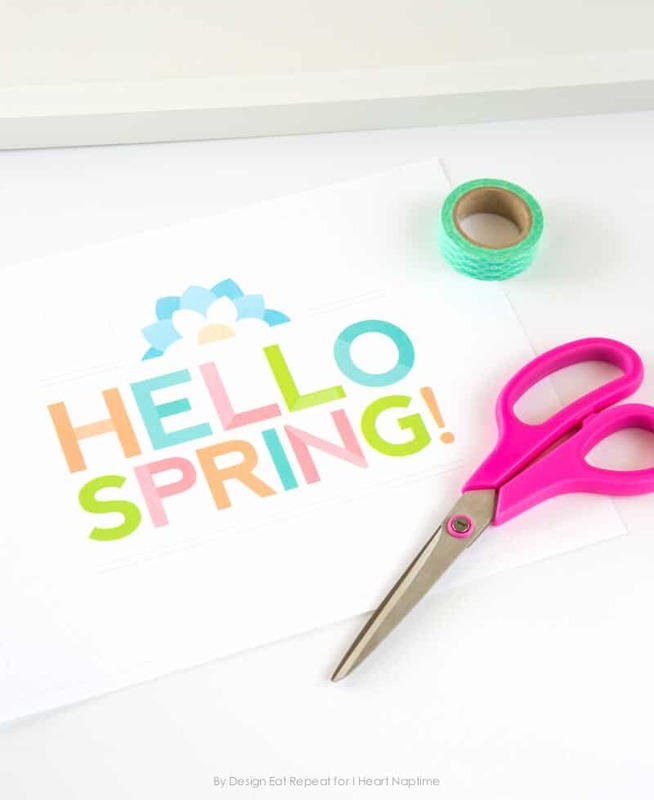 To begin, print off this free printable 8×10 wall art, cut it out, and pop it into your favorite frame or tape to the wall with some cute washi tape. I printed mine on thick white cardstock, making it nice and sturdy to be able to hang on the wall without a frame. Pair it alongside a vase of fresh flowers in your entry way or fireplace mantle for a fun seasonal design to bring some Spring colors to your favorite spaces. And the best part? 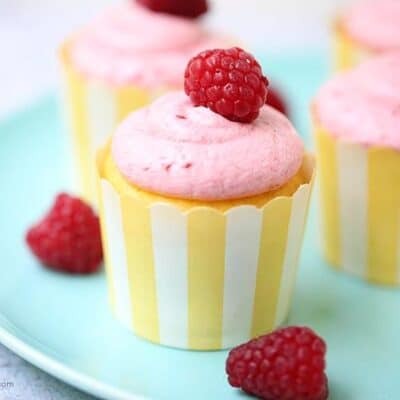 It’s free to make! 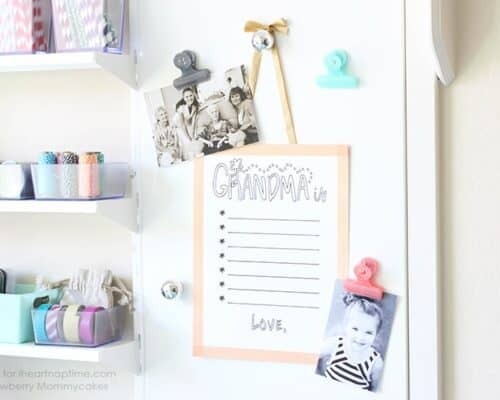 Most of us already have extra 8×10 frames laying around the house, so why not put them to use without the hassle of having to hunt for a design to put in them? 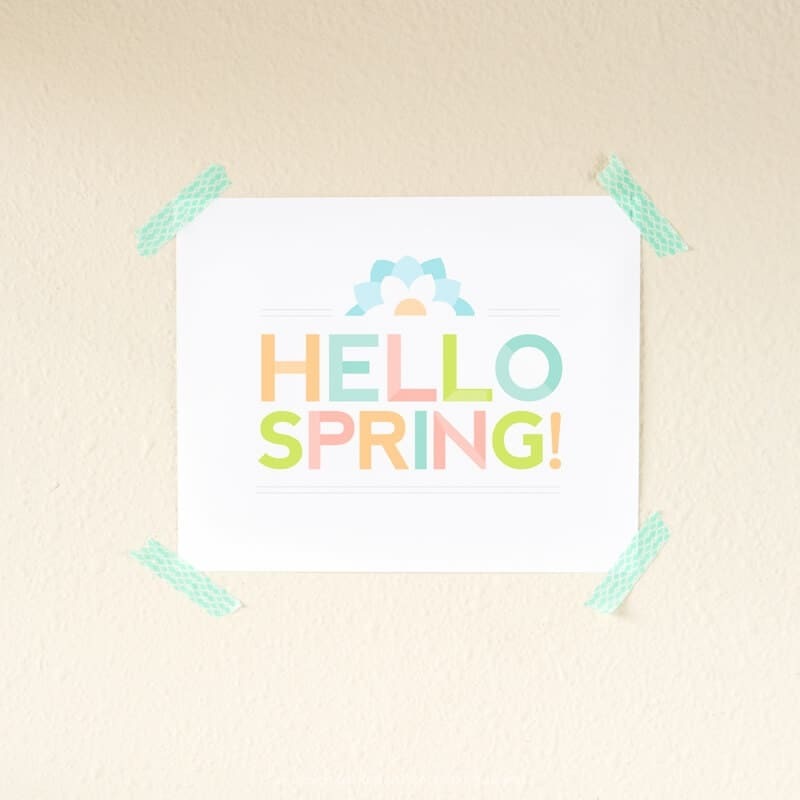 Download the Free Printable Spring Wall Art by clicking here. 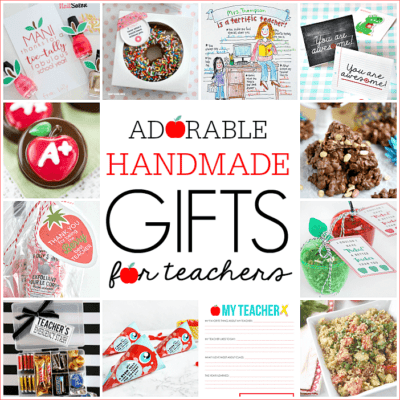 For more free printables and party ideas from Design Eat Repeat, visit my blog. 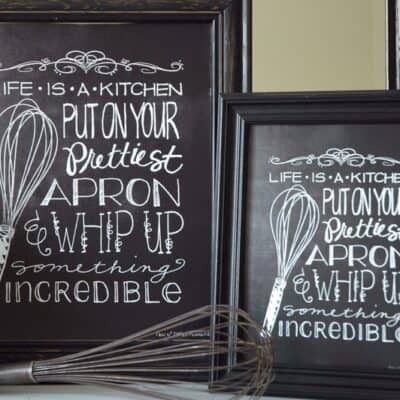 And for witty kitchen art, party printables, and paper goods hop on over to my shop!